On Friday the Obama Department of Justice announced no one would be prosecuted in the IRS targeting scandal. 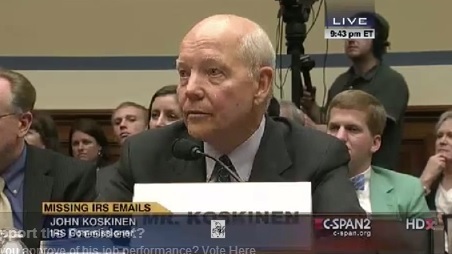 On Tuesday House Republicans introduced a measure to impeach IRS Commissioner John Koskinen. The announcement of the impeachment resolution comes on the same day Koskinen testified before the Senate Finance Committee, and after the Justice Department on Friday decided to close its investigation of the targeting scandal without pursuing criminal charges.